Scientists from the World Resources Institute and the University of Maryland have determined that last year was the second-worst year for tropical tree cover loss, exceeded only by 2016. An area equivalent in size to Bangladesh — approximately 39 million acres of tree cover — was lost in 2017. The clearing of forests for agriculture continues to drive large-scale deforestation. 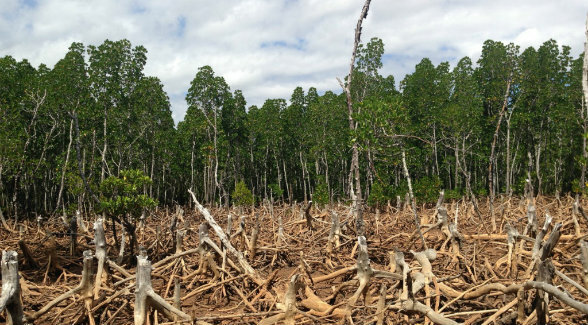 Countries with particularly high losses included Brazil, which saw 7.4 million acres of deforestation last year, and Columbia, which saw a marked increase as a result of increased political instability. Last year’s hurricane season also had catastrophic consequences in the Caribbean with the Dominican Republic losing 32 percent of its tree cover, and Puerto Rico losing 10 percent. Conversely, Indonesia saw a decline of more than 50 percent in deforestation thanks to a national ban to stop draining and burning peatlands.